Fickle Feline: My Girl Wants to Party All the Time. My Girl Wants to Party All the Time. 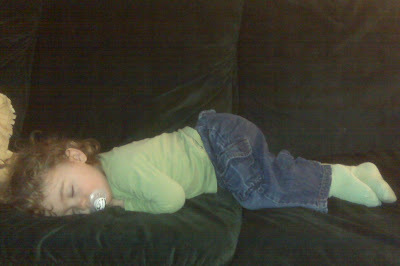 She was just resting up for the Saint Patrick's celebration at day care. Nice outfit! Max Update: Joy and Pain, Like Sunshine and Rain. Jelly Roll Quilt: Avoiding the Obvious. How to Choose a Daycare For a Child With Autism. Mental Health Monday: What's Old Becomes New. Max Update: My Budding Horn Player. Mental Health Monday: Spring Forward? I Quilt Therefore, I Am.